In winters common cold and cough is a normal problem. 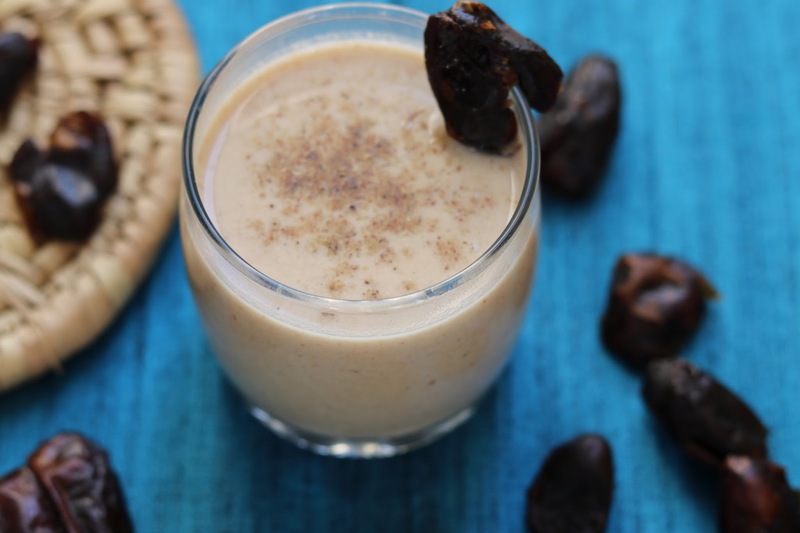 Treat it by drinking a hot glass of khajoor or Dates milk. Dates are rich of vitamins, minerals, protein, carbohydrates. So khajoor milk is very very nutritious and healthy. Plus the flavor is super rich. Enjoy hot khajoor milk in winters to stay away from cold breezes as well. 1. Seedless dates are preferred in this recipe, however if you have dates with seeds, then remove the seeds from dates by slicing it. 2. 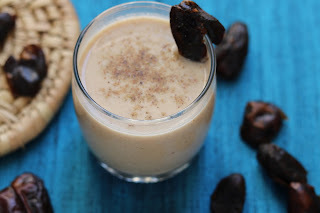 If the quality of dates is hard, then soak it in 1/4 cup milk for half hour to soften it. Else good quality dates are very soft, which can be used directly. 3. Heat 1/2 glass of milk in a pan along with dates for 10-15 min till it becomes soft. 4. Cool down the date milk mixture and blend smooth in the mixer jar. 5. Heat the remaining quantity of milk in the same pan. Add the power and blended dates mixture and simmer for 5 minutes on medium flame. 6. Hot nutritious khajoor milk is ready to serve.